Rewind back a couple decades, and we’ve got Smokey & The Bandit from 1977. The black and gold Pontiac Trans Am featured in the film was so deeply coveted that 15,567 special Black and Gold edition Trans Ams were created for the brand’s 50th anniversary. The car is also one of the most replicated cinema cars on the road today, chances are you know somebody who has one. 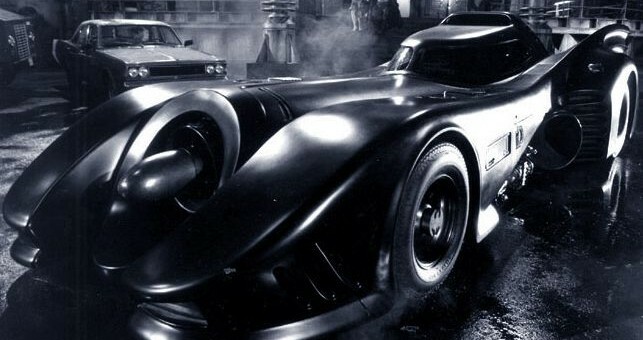 Remember the Batmobile from Tim Burton’s Batman (1989) and Batman Returns (1992)? Would you have guessed that underneath all of that black paint, bat wings and flamethower was a heavily modded Chevy Impala? We sure as hell had no idea. Previous story Poll: What Should GM Do With All That Cash? GM is all over the silver screen. Faye Dunaway is just a melted down and recast Chev Cavalier. Wasn’t the tumbler (Dark Knight Batman) powered by a GM 5.7L v8?